Yeah!! This is our second release from Niereich. 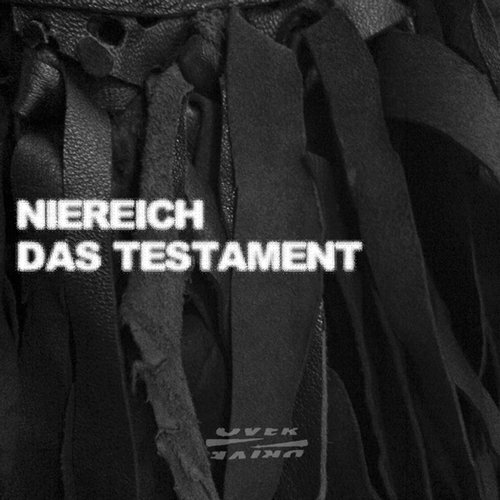 „Das Testament“ is a massiv technotrack, as big as his previous release „Brootherhood”. After the original track, Sophie Nixdorf presents a big groovy, bangin remix with straight basslines. The highlight is the remix by Mike Humphries, which is full of energy and subbass. Dj Hi-Shock‘s remix has a dirty acidline and is the killer on the dancefloor. The fourth remix of Go!Diva pumps the energy directly into your brain.